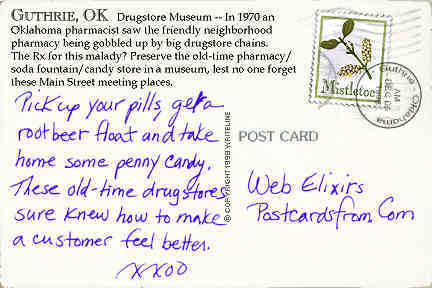 Drugstore Museum -- In 1970 an Oklahoma pharmacist saw the friendly neighborhood pharmacy being gobbled up by big drugstore chains. The Rx for this malady? 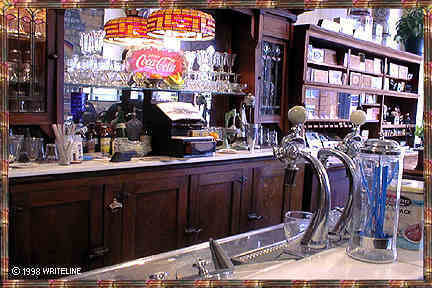 Preserve the old-time pharmacy/ soda fountain/candy store in a museum, lest no one forget these Main Street meeting places.